Parson, surely you don't sit on chairs using the Riker Manoeuvre? Maybe 40 years ago. Today I would fall flat on my nose! I thought that was when you grew a beard and pretended season 1 didn't happen. Ive often wondered What Trek would have been like had Patrick Stewart bowed out of the series in the 2 parter The Best of both Worlds , leaving Rijker in charge of the Enterprise. Wasn't ther a time When Patrick Stewart wanted to leave Star Trek ? I seem to recall seeing a documentary which said that he did have reservations about it. I think it was because early on he was still doing Shakespearian acting and I think part of his desire to leave was because he wanted to do meaningful work with his acting and, at the time, didn't see Startrek as meaningful - it was just a sci-fi. I think over the years and having seen how much impact the show he worked on and how much impact his character has had on people has changed his view and given him great faith in the work he did. Yes, I read this today. Not perturbed, because I think they could find a better Kirk! Not perturbed, because I think they could find a better Kirk! Is that a put down/complaint about everything produced that I hear. Surely, not? I was perturbed when they blew up planet Vulcan. How can you have Star Trek without the second most important race/planet? Is that a put down/complaint about everything produced that I hear. Surely, not? I enjoy the new movies. I just don't think Chris Pine is a very good actor. Then again, neither was William Shatner. Shatner was at least a Shakespearian actor trained at McGill University. So he knew he wasn't a great actor. I just wish Paramount would dump Abrams. He has no idea how to do Star Trek. Or Star Wars. Older and wiser, Picard returns to Earth and becomes the dean, or a professor, at Starfleet Academy in the new series that is potentially going to be set there (as reported in Variety). Imagine Mr. Keating from "Dead Poets Society" meets Mr. Rasczak from "Starship Troopers." The series could even be called "Oh Captain, My Captain." Returning to Earth and retiring from Starfleet, Picard has finally accepted that job offer that his old boyhood friend Louis made to him to take over the Atlantis Project (TNG episode "Family"). CBS pounces on the opportunity for a franchise crossover and simultaneously reboots the underwater sci-fi series "Seaquest DSV" in association with Universal. Picard is a senior politician/ambassador and returns after a long period away from Earth to discover the Federation has been sliding away from its utopian ideals. This would take the form of a politically driven drama, reflecting in science fiction many of the issues facing the world today, as "Star Trek" has done successfully time and time again. Picard, now the landlord of a small apartment complex in a fashionable beach community near New Malibu on Veridian IV, has to deal with the wacky antics of a Betazoid, a Borg and a Horta when they decide to be roommates, with hilarious consequences. Picard has become the president of the United Federation of Planets, and in a tense "West Wing"-style drama, we follow him through political turmoil on a truly cosmic scale as he negotiates peace treaties with the Kazon, arranges trade deals with the Tamarians and saves Sector 001 from all out war with Species 8472. His Irumodic Syndrome worsening (TNG episode "All Good Things"), Picard now uses a wheelchair but develops strange, powerful telepathic powers as an unexpected side effect. Picard has every intention to retire, settle down and rebuild the Chateau Picard vineyard after it burned down ("Star Trek: Generations"). However, he's approached by the clandestine arm of Starfleet, Section 31, and coerced into re-enlisting. A darker incarnation of "Star Trek" sees Picard wrestling with his evolved sensibility and the reality that unethical decisions must be made to maintain peace throughout the galaxy. Picard was an amateur archaeologist from an early age. He often pondered what his life as an archaeologist would have been like, and his knowledge of ancient artifacts and cultures often proved valuable during his command (TNG episodes "Rascals," "The Chase," "Gambit," TNG novel "The Devil's Heart"). After retiring from Starfleet, he becomes unwittingly embroiled in a series of intergalactic Indiana Jones-style adventures. After the events of "Star Trek: Nemesis," Picard once again hears the call of the Borg, learning that they are constructing a huge new cube with which they intend to wipe out humanity. Against the orders of Adm. Janeway, he is surgically altered to become Locutus once again (TNG novel "Resistance"). A long, desperate and drawn-out battle with the Borg begins. Picard marries Lwaxana Troi, and they open a modest hotel in the popular seaside town of Torqee, on Rigel VII. Together, with their inept Ferengi waiter, Mahvel, they struggle to not only run the business but maintain their sanity as chaos frequently ensues. Just don't mention the war when the Klingons come to stay. And, set phasers to "stunned:" It turns out that CBS is also discussing some "Star Trek: Discovery" spin-offs — specifically, shows for Michelle Yeoh's Philippa Georgiou, the former ruler of the Terran Empire in the mirror universe who ended up in the prime timeline and joining Section 31, and Rainn Wilson's Harry Mudd, the criminal and con artist with cosmic charisma. "It's not a rat! 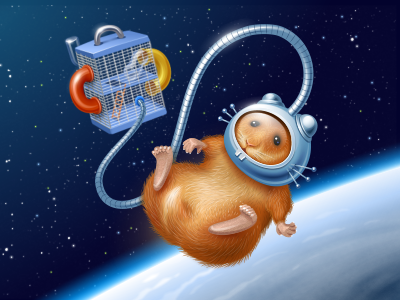 It's a Simperian hamster...."
I jumped up and down seven times in excitement for this! Three times for the news, one time because I stepped on one of the cats' toys, another three while trying to avoid falling on one of the cats. Spoiler: I fell in the end, but averted sitting on the cats. Fact: Hardwood floors hurt. That's why I call him Jar Jar Abrams. The only question I ever thought was hard was "Do I like Kirk or do I like Picard?" Anthoney, still baffles me how a sci-fi director doesn't understand that space is big. Stop Simon Pegg from having any creative input whatsoever, and the films could rediscover the brilliance they used to have.